You love chocolate. You love putting only the healthiest things in your body. With éclairs, ice cream, fudge sauce and brownies, chocolate is not always the healthiest thing. With organic raw cacao powder, it can be. Organic cacao powder is the supreme solution for having your chocolate and good health, too, with this amazingly nutritious, delicious and versatile superfood. That’s because organic cacao powder is not just any chocolate. It’s the purest, richest, most intense form of chocolate available. Chocolate so good it makes your toes curl. Chocolate so scrumptious it makes your kids beg for seconds. Chocolate so healthy it comes without a single ounce of artificial anything. Raw vegan cocoa powder fits the bill as one of the most nutritious and delicious superfoods nature had the brilliance to create. Top-of-the-line powders come straight from cacao beans of the Arriba Nacional Fino de Aroma trees that produce as lushly as they thrive throughout Ecuador. Fresh beans are cold-pressed, separating out the oil, so you can enjoy the fine-milled fibers that are sensuously sifted and filtered, producing the finest raw cacao powder available. 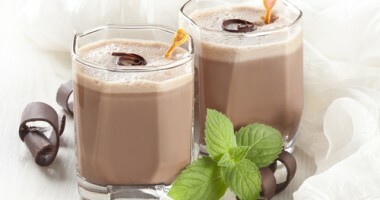 Benefits of raw vegan cocoa powder start at your taste buds, with a supremely scintillating flavor. They then extend to your mind and body, with a flurry of natural components that enhance your health, embrace your body and improve your mood. Vitamins, minerals and a bountiful array of antioxidants energize and rejuvenate. Your neurotransmitters begin to dance, making you act and think more clearly. Your veins and arteries become more flexible, your heart more effective and your circulation more streamlined. Your immunity gets a boost. Your organic raw cacao powder is packed with more potent levels of antioxidants than those found in your favorite green tea. They clear your cells of metallic ions and free radicals. 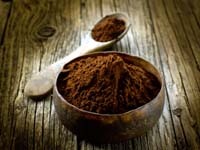 Cacao powder’s antioxidant flavonoids double as natural antimicrobial and antihistamine agents, clearing out your systems while they stave off disease and signs of aging. Raw organic cacao powder is the richest source, by weight, of these super-duper antioxidants. You sprinkle the powder on your yogurt. Stir it in your smoothie. Whip up a calming cup of homemade hot chocolate. Use wherever chocolate is called for in your favorite recipes. Heavenly taste comes with heavenly benefits when you indulge in organic raw cacao powder. Another great way to get your cocoa benefits is with our raw organic cocoa nibs. Cocoa nibs are a specific part of the cocoa bean, like nature's own chocolate chip, that delivers a rich, full cocoa flavor. Sprinkle on cereals, yogurt and mix with organic nuts and organic goji berries for a healthy trail mix. You and your kids can indeed have your chocolate and good health, too.